After getting jammed in traffic last week, I found myself sitting in the back row of a fully packed continuing education class for the retention of my real estate license. It was a special class for CCIM designees and candidates. As I settled myself into a typical conference room, hard-as-rock seat, I got ready for nine hours of challenging instruction. For those who loathe the required annual trek for CE, as I do, you can appreciate the challenging component of CE that tend to be more of staying awake than the course content itself. Fortunately, Cindy Chandler, CCIM was facilitating on this day. Cindy is the most engaging lecturer and, once again, was top notch. As I sat in the back row, I could not help notice the same scenario I experienced at the annual SIOR Fall Conference in Chicago earlier this month and other conferences I have attended throughout the year. Gray –and lots of it, specifically gray-haired men. Our industry is dominated by gray-haired men. This isn’t particularly true for accountants, financial advisors, doctors or even lawyers. At least not at the level there is within the commercial real estate industry. 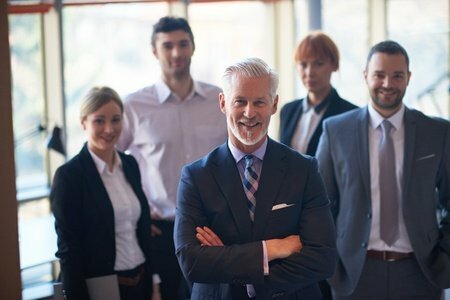 Admittedly, most of 15 of our coaches/consultants at the Massimo Group are gray-haired men. I have been aggressively seeking female coaches for years – and thankfully, I hope to announce the first one shortly. No doubt I anticipated an older crowd at the SIOR conference, given the tenure and transaction history required to achieve the designation. Same can be said for CCIM, CRE and most other designations. However, there certainly are much younger candidates that should be required to attend continuing education and these shows. Where are the younger, non-gray haired ladies and gentlemen in our industry, specifically at these conferences related to higher designations? Personally, I love these events, as we get to meet with many of our clients. The point being SIORs, CCIMs and others dedicated to their craft of commercial real estate continue to look for ways to grow, including having a coach. Whether you have gray-hair, no hair or the luxury of flowing locks of hair, there is one rule that I learned from the great Jim Rohn. “Work harder on yourself than you do on your job!” If you truly wish to separate yourself from the herd, regardless of your age, focus on self-development. I am looking forward to seeing blondes, brunettes, dark-bearded men and ladies (excluding the beards of course) at the next CRE industry event. Heck, now even I am getting a touch of gray. I just don’t know what to reach for first, the Rogaine or the Grecian Formula!